US experts on CFIUS (The Committee on Foreign Investment in the United States) review suggested last Friday that Chinese investors should proactively engage with CFIUS when structuring deals to minimize the hurdles in the review process. Several large deals have fallen victim to issues with CFIUS in the past. 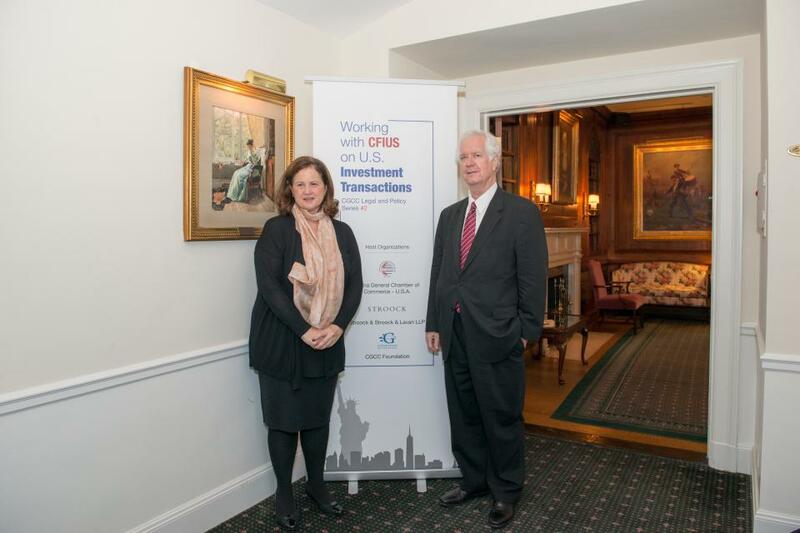 “CFIUS is voluntary, until it’s not”, said Anne Salladin, special counsel at Stroock & Stroock & Lavan LLP and former Treasury Department senior counsel at an event tackling investment issues held in New York. Salladin said in the current atmosphere of heightened scrutiny Chinese investors dealing with high-profile cases should make sure to file with CFIUS before closing any transaction and proactively engage with the CFIUS agencies during the pre-filing periods to resolve any potential issues. In recent years, the US has become one of the major investment destinations for Chinese companies. However, according to the 2016 Annual Business Survey Report on Chinese Enterprises in the US by China General Chamber of Commerce-U.S.A., 25 percent of Chinese enterprises in the US consider the CFIUS review politicized and opaque; in 2016, nearly 10 percent of Chinese companies gave up investment projects due to CFIUS concerns. However, Christopher Brewster, a CFIUS expert with more than 30 years of experience appearing before Congress and US government agencies, disagreed that the CFIUS process is “just politics." “Chinese cases account for a significant number of reviews each year, but this reflects the significant increase in Chinese investment in the US, not a particular bias against China”, said Brewster. Speaking of the recent requests from 16 US members of Congress to enforce CFIUS, Brewster said “It is hard to predict where Congress might go, but there is increasing interest in putting new members on CFIUS—including the secretary of agriculture—or the head of the Food & Drug Administration—at least where cases involve food safety."